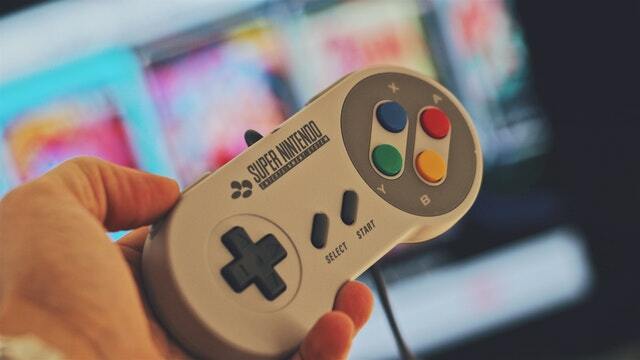 Whether you grew up in the “Genesis does what Nintendon’t” era, or your very first video game console was released in the last 10 years, chances are you’ve found yourself in a heated discussion about which gaming platform is superior. From gamerscores and trophy levels, to who can get the highest kill count in one match, gamers can’t help but get sucked into the spirit of competition. Of course, the real competition starts with companies that will do anything they can to get you to play their games and not someone else’s. The fact is, our industry has grown considerably thanks to some incredible rivalries between top developers and publishers. Even if you hate the idea of console wars, or reading that inevitable ‘”PC master race” comment everywhere, no one can deny that just like in sports, the desire to win has driven the gaming industry to a level that would have otherwise taken twice as long to reach. If you don’t believe us, check out the following list of some of the greatest rivalries in the industry. You’ll often see that the biggest winner wasn’t the company that sold more units, but rather it was us gamers, who received better consoles, innovative ways to play, and our favorite games of all time. What better way to start than with arguably the most classic rivalry of them all? Considering that today you have deals where Sega games like Sonic Lost Worlds and Sonic Boom release exclusively on Nintendo systems, it’s difficult for newer generations to understand just how heated the competition once was between the two. For many it’s a good thing that Sega and Nintendo are now working together, but even two decades later most older gamers still cringe at the thought of seeing Sonic on a Nintendo system. That’s how hot things were between the two Japanese giants. The fight for gamers’ hearts back in the 90s even led to some nasty ad campaigns that you’d never see today even between Sony and Microsoft. Of course, what mattered most was who could deliver the best gaming console with the must-play titles, which resulted in some of the most beloved games ever made. This includes the likes of Super Mario World and Sonic the Hedgehog, which were painstakingly designed to sell their respective console. If that isn’t motivation for creating an amazing game, we don’t know what is. We all know that Nintendo eventually pulled ahead and has since released several great video games and consoles, all while Sega was forced to go software-only. Even so, who knows if many of the amazing video games from the 90s (and today) would have been as good as they are had it not been for a fierce competition driving both companies to give more than 100%. There are plenty of rivalries going on today in the industry, but few can compare to the debate between console and PC gamers. Although many saw it coming, this current clash is still pretty surprising considering that PC gaming has been trailing behind consoles for most of gaming history. This is because the only thing PC had over consoles for a long time was a good collection of adventure, first-person shooters, and real-time strategy games. Meanwhile, gamers were flocking to dedicated gaming consoles where they could play 3D platformers like Super Mario 64, action-adventure games like God of War, mobile games like Wii Sports, and so on. This has definitely changed now that amazing games of all genres can be enjoyed on a PC, and some pretty incredible titles are only for PC. Moreover, for games that are released for both console and PC, it’s usually the PC version that has the better graphics, modding capabilities, and other neat features. It’s also hard not to mention both Valve’s Steam service and the recent renaissance of small-team projects dubbed indie games, both of which have helped PC become all the more attractive. However, the fact that Sony, Nintendo, and Microsoft are still providing amazing 1st party titles exclusively for their systems is enough to make this fight a draw, for now. PC gamers may have the better graphics and features, but console-only series like Uncharted, The Legend of Zelda, and Halo still make consoles worth having. Considering just how successful Call of Duty has become in the last few years, it’s hard to believe that the first game had the codename “Medal of Honor Killer”. That’s right, EA’s Medal of Honor was the dominant console FPS series during the Xbox, PS2, and Gamecube generation, not that long ago. An FPS shooter rivalry between EA and Activision that started more than a decade ago continues today, as Battlefield serves as the only FPS game series that has recently come close to dethroning Call of Duty. Even though the previous games weren’t bad, it wasn’t until Call of Duty 4: Modern Warfare came out that Activision’s current title reign (if this were wrestling) truly began. This even led to EA releasing their own “Call of Duty killer”, which ended up being the 2010 Medal of Honor. Suffice to say, it was anything but a CoD killer. Realizing that a different FPS series was needed to give Call of Duty a run for their money, EA started promoting Battlefield 4 like it was the new FPS king. Despite receiving better reviews, even though it released with broken online features, Battlefield 4 didn’t manage to outsell Call of Duty: Ghosts, the lowest-scoring game in the series so far. However, after Ghosts proved to be a letdown, gamers have grown cautious of throwing their money at another Call of Duty game simply for the name alone. This means it’s now a good time for EA, or another developer, to finally give the Call of Duty series some serious competition. If there was one console that no one expected to sell as much as it did, it’s probably the Nintendo Wii. Most gamers saw waggling a remote-shaped controller as a gimmick, while many had low expectations after how poorly the Gamecube did in terms of worldwide sales. It placed third against Microsoft’s first console and only sold more than the discontinued Dreamcast. All this while the PlayStation 2 became the highest selling console of all time. And then there was the Wii’s clear disadvantage in terms of technical ability, which included a lack of support for HD graphics and relatively unrefined online experience. However, the Wii managed to outsell its competitors by offering us a new and unique way to play: motion control. The first time playing Wii Sports was pretty magical for many of us, as we interacted with the game in a way that sounded silly on paper but was enjoyable in person. This of course urged Sony and Microsoft to whip up their own motion control toys and hopefully grab a piece of the motion control pie before it was too late. The PlayStation Move and Xbox Kinect both sought to also deliver an exciting motion gameplay experience, with the Kinect being far more unique from the Wii in that it didn’t require a controller to be held. Most gamers are glad this era is over, mostly because terrible motion games were eventually being shoved down our throats by the truckload. Even so, it’s hard not to be impressed by Nintendo and the way they not only outsold the more powerful consoles, but even caused competitors to scramble and pop out their own motion devices. While their consoles have been mostly an up-and-down affair in terms of sales, Nintendo’s dominance in the handheld console market is undeniable. Ever since the Game Boy hit store shelves, Nintendo has consistently released a mobile gaming device that allows developers to create even better experiences to enjoy while on the go. This includes superb titles like Tetris, Pokemon Red/Blue/Yellow, Brain Age, and Mario Kart 7. These were all best sellers from their respective mobile console. In 2005 Sony sought to dethrone their fellow Japanese gaming company by releasing the PSP, a portable system that looked like it was going to give Nintendo a run for their money. The PSP had a sleek design, supported multimedia files via their Universal Media Discs, and offered better visuals. But although it managed to double the DS’ launch day sales number, it went on to only sell half the total number of the DS, which is now the second highest selling gaming device of all time. But then a new and unexpected competitor rose to stake its claim in the mobile war: smartphone games. From Angry Birds and Fruit Ninja to Doodle Jump and Cut the Rope, people everywhere started looking toward iOS titles like these to scratch their video game itch. The fact that a smartphones or tablets can play games as well as do countless other tasks was certainly one of the draws, as was the ability for small developers to whip up amazing titles and launch them on the App Store. Today, smartphone gaming is still going head-to-head with the PS Vita and 3DS. Although Sony’s latest portable console hasn’t been doing too hot despite being a very powerful (and excellent) device, Nintendo is definitely holding their own thanks to amazing titles like Animal Crossing: New Leaf and Super Smash Bros. releasing on the 3DS. There’s no better way to end this list than with a rivalry so hot that flame wars and fanboy comments were already flooding websites and social media long before the two consoles would even release. Since Nintendo didn’t hit the mark with the poor-selling Wii U, most gamers are tied between choosing one of these two eighth-generation consoles, and trying convince everyone else that it’s the better of the two. It all started in E3 of 2013 when both consoles were revealed, including info such as pricing, release dates, and launch title lineups. Right out of the gates, Sony showed its desire to reclaim the crown it held during the PS2 era but lost after the PS3 struggled for most of the console generation. This involved Sony marketing the PS4 as not only the anti-Xbox One, but rather as the better system in terms of power, affordability, exclusives, and more. Most importantly, the PS4 was pushed as a ‘for gamers’ console while Microsoft sought to present the Xbox One as an ‘entertainment’ system that not only played games but also had Kinect 2.0, great TV integration, and more. Most gamers didn’t take the emphasis on non-gaming features positively, but it was policies like always-online and the inability to download a game more than once on a system that caused a huge backlash. Microsoft had no choice but to do a lot of reversals in hopes of getting gamers back on their side, but it proved too-little-too-late as the PS4 went on to sell more at launch. As of February of 2015, the PS4 is still the highest selling console and doesn’t show signs of slowing down, even if the Xbox One did better this past holiday season. Even though it’s still too early to say which of the two (or three?) will end up being the highest selling console, there’s no denying that gamers will get to enjoy breathtaking gaming experiences this generation thanks to good old fashioned competition.